Top 5 Techy Gadgets for Summer! Here at ABCey, we love planning get-togethers, especially during the summer months! Since the Bay Area is at the heart of technology, we took the opportunity to search for new must-have gadgets that would be fun for outdoor events. Even though we seem to be beginning the June gloom here in San Francisco, you can pretty much guarantee a sunny and warm SF between September and early November (aka Indian Summer)! So, get ready to party with our Top 5 techy gadgets and make those BBQ’s, roofdeck parties, and beach days a bit more exciting! 1. 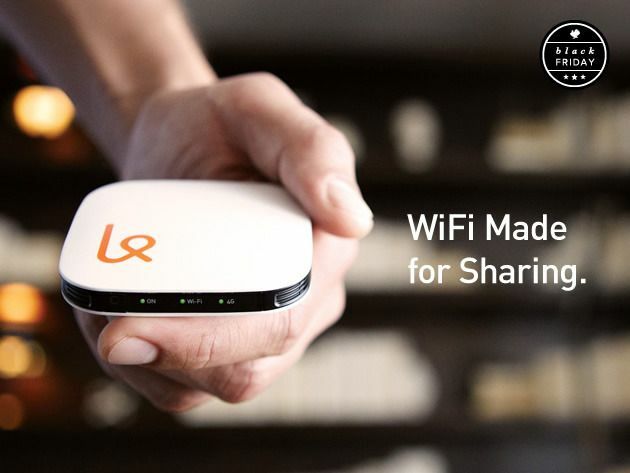 Karma Wifi | $14/ GB | Karma Wifi is a pay as you go service that allows users to purchase different levels of Wifi for their mobile devices. This service is unique from other mobile wifi hotspots since there are zero monthly payments, the data purchased does not expire, and it can be shared between users. Karma is available in over 80 cities nationwide, and is simple to purchase additional data as you travel! We love how this service allows guests to stay connected, while still enjoying the company of other attendees outdoors. 2. ECOXBT Speakers | Waterproof Bluetooth speakers | $129.99 | Here is the next crowd-pleaser for pool parties this season! 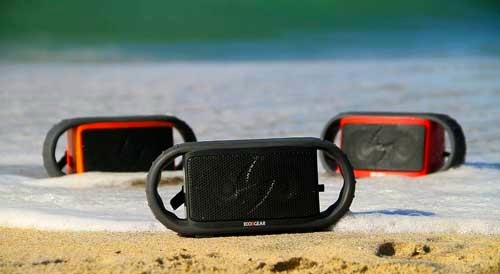 ECOXBT Speakers connect to any Bluetooth device and have the ability to submerge and float in water. As guests enjoy a leisurely day at the pool, they can still control their music without the extra hassle of getting out of the water. The best part is the 10 hr battery life and small size to travel around with guests. 3. 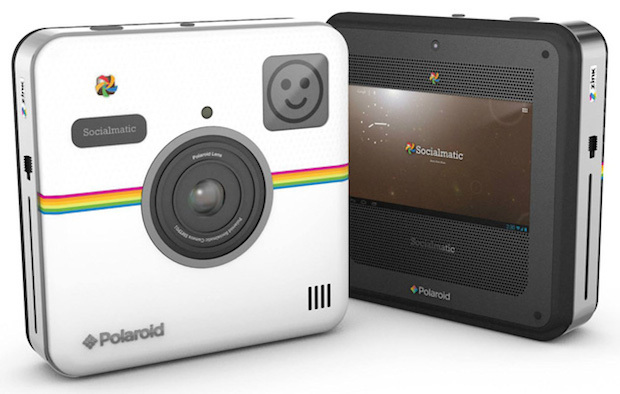 Polaroid Socialmatic Camera | Shares & Prints Photos Instantly | Price & date to be released Summer ’14 | Polaroid is transforming the way photos are taken and shared to social media sites with this new, innovative camera! It has the ability to print on specialized Zero-ink, smudge & water resistant paper, and is simultaneously powered through Android to post to social media sites instantly. While the camera isn’t available for purchase until late Summer 2014, we still think this would be a great addition to any gathering! 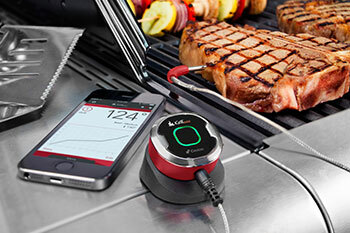 4. iGrill Mini Smart Grilling Thermometer | $39.95 | This device is perfect for your next cookout and will benefit your summer barbecuing skills! The iGrill Mini aids the chef in making sure that the meat is cooked to the correct temperature, so you never have to worry about over or under-cooked meat again. It connects via Bluetooth up to 150ft away, so the host is able to enjoy the party while still monitoring the food! Don’t miss out on this must-have for your next barbecue! 5. Remote Control Beverage Cooler | $59.95 | This gadget will definitely be the star of your next outdoor event! 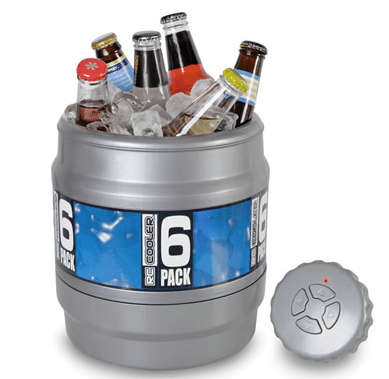 This device is essentially an ice chest that will keep drinks cool and can roll around the party bringing guests’ drinks. It has a 60ft radius from the controller, and will add a smile to every individual it rolls on up to! Which gadget is your fave?! Let us know which one you love the most in the comments below or on Facebook and Twitter.